Proxies vs. VPN: What’s the Difference? Home/Private Proxies, VPN/Proxies vs. VPN: What’s the Difference? If you’re interested in keeping your private life private, you have probably done your homework in regards to proxies vs. VPN. You know that both provide anonymous online surfing and you want to know which one is better. 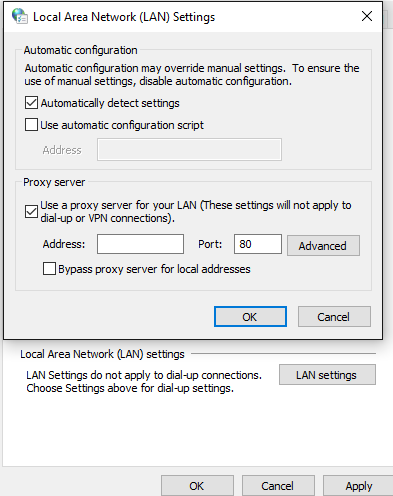 Should you use a proxy or should you use a virtual private network, or VPN? If you have spent any time online, you have probably heard a lot of conflicting information about this topic, so you’re probably confused. It’s time to settle the score once and for all. Let’s take a look at which one is better so you can finally decide if you want to go with a proxy or a VPN. Let’s begin by taking a closer look at proxies and VPNs. Then, it will be easier to decide which is the right choice. If you’re like many internet users out there, you don’t know exactly what a proxy is, but you know what it does. It gives you the power to surf the web anonymously, and that’s good enough for you. In order to understand how it stacks up to a VPN, though, you need to have a better understanding of how it accomplishes that. By definition, a proxy represents someone else. For instance, you might vote by proxy, and then someone else can vote for you. That person is like a middleman, casting a vote on your behalf. A web proxy is the same thing. It is also a middleman, connecting to servers on your behalf. Let’s say that you want to access a website. If you didn’t use a proxy, your server would communicate with the website’s server directly. That means the website’s server would know exactly who you are and where you’re coming from. Now, let’s say that you use a proxy. Your server would connect to a proxy. The proxy would mask your IP address and connect to the website server that you want to access. You would get a new IP address in the process. Because of that, the site you’re connecting to wouldn’t have any idea who you are. You would have a completely new identity and location, thanks to the proxy. While a proxy acts as a middleman, a VPN creates a secure tunnel from your computer to the VPN. Then, the VPN connects to the website’s server. All of the information between the servers is encrypted. In addition, it will appear that your location is the same as the server’s location. For instance, if the VPN is located in New York and you’re in California, it will look as if you’re in New York. Now that you know the basics of these two services, it’s time to look a little bit closer. Let’s look at some important features for these two services. This will help you determine which one is right for you. Then, you’ll be ready to sign up for a service and engage in some anonymous web browsing. You’ll notice a difference between the two when it comes to speed. While both provide anonymity, they do it in different ways. The VPN does it by encrypting all of your information. While that might seem great on the surface, it comes at a cost. You sacrifice speed for that encryption. When servers have a lot of traffic, they start to chug along, trying to keep up with their encryption methods. You will likely notice that your web surfing slows down considerably when this happens. Of course, that can be incredibly frustrating. You want to go online and complete certain tasks. You don’t want to wait for your server to keep up. It should be in the background, doing what it needs to do to keep you online. On the other hand, proxies from Blazing SEO have 1 Gbps dedicated network lines. That means you can expect blazing speeds with these proxies. Also, since the proxies are private, you don’t have to worry about someone else using up your bandwidth. If speed is important to you, a proxy is the right choice. In many cases, you can browse the net at the same speeds you would without anonymity. That is very important if you plan to watch videos or do anything else that takes up a large amount of bandwidth. Software is a major concern when going online. People often want versatility when moving from one computer to the next. They don’t want to download bloated software onto their computers, as that makes it easier for their bosses to detect them if they’re trying to log into Netflix at work. Fortunately, proxies don’t require software. You just put the settings into the web browser and then you can access the proxy. Then, you just wipe the settings out when you’re done. That makes it very easy to get in and get out without detection. The same isn’t true for VPNs, though. You’ll have to download software or a client in order to access the VPN. That is fine if you’re using your own computer to surf the web. However, if you’re trying to watch some videos on YouTube during your downtime at work, you will have a problem. It’s not nearly as easy to install software on a work computer as it is on a personal computer. You might run into a problem. If that’s the case, you are much better off going with a proxy. You won’t have the stress of downloading software on all of the computers that you want to use. You can fly between one computer and the next without any worries. This will give you the freedom that you can’t get with a VPN. If you pay for a proxy or VPN, you want to be able to use it for the entire month, without any problems. Unfortunately, some VPN companies put bandwidth limits on their customers. If you reach the limit, you won’t be able to access the server anymore. This is incredibly frustrating. Not all companies do that, so if you’re insistent on going with a VPN, you need to read the fine print to make sure there aren’t any limits. Of course, you could make it much easier on yourself by choosing a proxy instead. Then, you won’t have to worry about reaching your limit and getting kicked off the internet. You can keep on browsing the internet, no matter how much bandwidth you use. That is much easier than keeping track of every bit of bandwidth that you use all month long. You’re only anonymous if the service doesn’t keep logs of your activity. Unfortunately, some VPN providers have been known to keep logs of user activities. If the government were to subpoena those logs, your activity could be scrutinized. So much for being anonymous. You might just be a subpoena away from answering some questions downtown. On the other hand, there has not been any information about proxy providers keeping logs. This gives users some added confidence when logging into their websites. As you can see, proxies win against VPNs. Of course, not all proxies are created equal. You have to choose the right proxy if you’re going to take advantage of all of the benefits. Let’s look at how to choose the right proxy so you get the most out of your service. Many people go online and choose the first proxy they see. Then, they wonder why people rave about proxies. They can’t get their proxies to work so they think it’s all a bunch of false hype. The hype is real, but you have to know what to look for when selecting a proxy. When was the last time you got something that was of a high quality for free? Your computer wasn’t free. You had to pay good money for it. Your phone certainly wasn’t free. You stood in line on the release day and spent hundreds of dollars for it without thinking twice. Why, then, would you expect to get a high-quality proxy for free? They have low bandwidth, so they are slow and unreliable. They run ads, making them even slower and annoying. They time out, and you often get redirected to webpages that you didn’t click on, thanks to those aggravating ads. Then, to make matters worse, they are often run by hackers who have one goal in life, and it isn’t to be your friend. It’s to steal your information. They want to take as much from you as they can before they move on to the next target. Do not, under any circumstances, go with a free proxy. It’s not like private proxies are expensive. You can get them for a few bucks a month. Those few bucks are a lot less than the money you’ll spend trying to restore your good name after the hackers take your identity. Pay the money. It’s worth your peace of mind. Geo-locations are also very important when choosing a proxy. Some proxy companies only have proxies available on the other side of the world. These proxies aren’t going to open any doors for you. First, they are typically really slow, and second, they can hurt you if you need geo-specific IP addresses. Choose a company that has a broad range of geo-locations available. Then, you can use the location that you need for a specific task. For instance, let’s say that you want to cop some sneakers on the release day, but Adidas is only releasing them in Los Angeles. If you choose a company that has IP addresses in various locations, you can get an IP address for LA and then the Adidas website will think you’re coming in from LA. You’ll get your kicks and life will be good again. It’s that simple. Of course, if your IP address originates in Yemen, you’ll be walking around barefoot. Some people like to use proxies to market their websites. Unfortunately, they get their proxies, only to find out that they come with all kinds of software restrictions. That has nothing to do with proxies and everything to do with the company. Go with a company like Blazing SEO that doesn’t have software restrictions. That way, you can use SEnuke, Xrumer, and other software with your proxy. Even if you don’t plan to use software right now, you should give yourself the option to use it down the road. You never know if you might want to market your site at a later date. You also don’t know if you might decide to monetize your proxies by marketing other people’s sites. Proxies really do open some doors that used to be closed, so keep the door open by choosing a company that lets you use software. No matter what you do online, there is a chance your proxies might get banned from time to time. It’s a way of life. Maybe you are doing some internet marketing and your bot sends requests too quickly and Amazon catches on, or maybe you cop too many sneakers in a row and Adidas catches you in the act. Whatever the case may be, you need to go with a company that switches out banned proxies. That way, you aren’t caught holding the bag if that happens. Again, Blazing SEO is the company for you. You can switch out your proxies if they are banned, meaning you can go right back to surfing with minimal downtime. It’s easy to see that proxies have a leg up when compared to VPNs. Now that you know which one wins the war, consider grabbing some proxies and using them to your advantage. From browsing the internet undetected to unleashing a powerful internet marketing campaign, proxies can benefit you.